Hey everyone! It's Candace from Candi O. Designs and it's my day over at Jaded Blossom. 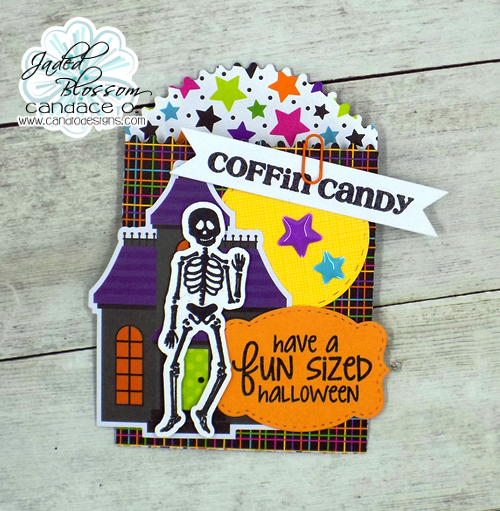 Love the new paper bag die - so many different ways to decorate and add anything inside!! 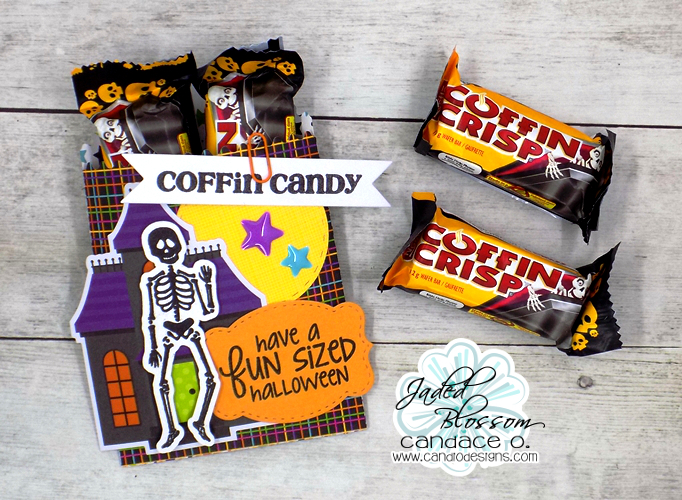 I made this one Halloween theme and filled with "coffin crisp"!